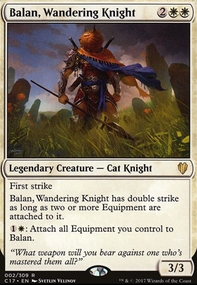 Selvala but also Bloom Tender since it and Conqueror's Flail check number of colors at your side so after a few games with both of them I can confidently say that 3+ colors are perfectly reasonable achievement. About card changes - do you think that Mystic Remora might be better than Kindred Discovery ? Also you might be right about Moxen, I just copied what other 5-color high power/cEDH decks used to lower the curve of my deck. 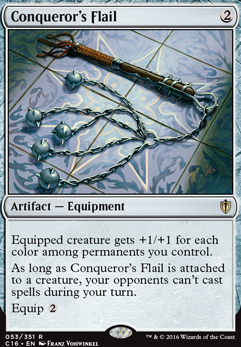 Conqueror's Flail seems to work quite nice for me since it often gives 3-5 power boost, which is more than enough to win with Atarka, World Render + The Ur-Dragon . I once equipped it onto Dragonlord Dromoka because I didn't have any better target and it gave me so much life that I didn't care about lack of blockers later. 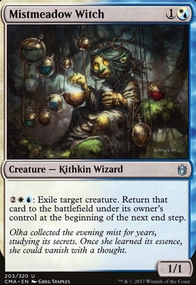 Also if it draws hate it's great because I have waaay better things to come in terms of Artifacts/Enchantments. Also giving 3-5 power means that Bloom Tender will give 3-5 mana. How's been Greater Good performing for you? 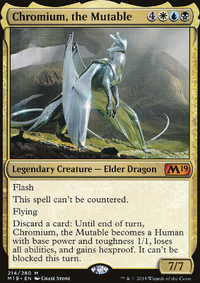 I wish I had some sort of sac outlet for Dragon Egg tokens but I think Vaevictis Asmadi, the Dire and Devour babies from Dragon Broodmother should be enough. Planeswalker removal shouldn't be too much of a concern since I review planeswalkers by their abilities and if it actually impacts my board when they "do the thing" and immediately after hit the bin. 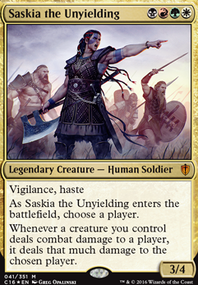 So Sarkhan Vol 's haste or Act of Treason is good enough and Sarkhan the Mad after dropping of The Ur-Dragon 's trigger (done it a few times already, feels great) is just knock-out spell (best used for pillowfort players) and later I don't care if it stays. Sarkhan, Fireblood is so small and on the surface seems to be weak that other players don't care about killing it unless it's unblocked and can easily die. But it's actually a ramp/fixing planeswalker. All of them also have token spawning options, which helps win with Scourge of Valkas / Dragon Tempest . Also you've mentioned some cheap interaction or ramp spells - do you have anything specific in mind? I'm thinking recently about Mystic Remora . Armageddon and Teferi's Protection make up a vicious combo. Conqueror's Flail is still a very-nice-to-have. Completed except for Conqueror's Flail . Let's swap out Steel Hellkite for Conqueror's Flail .